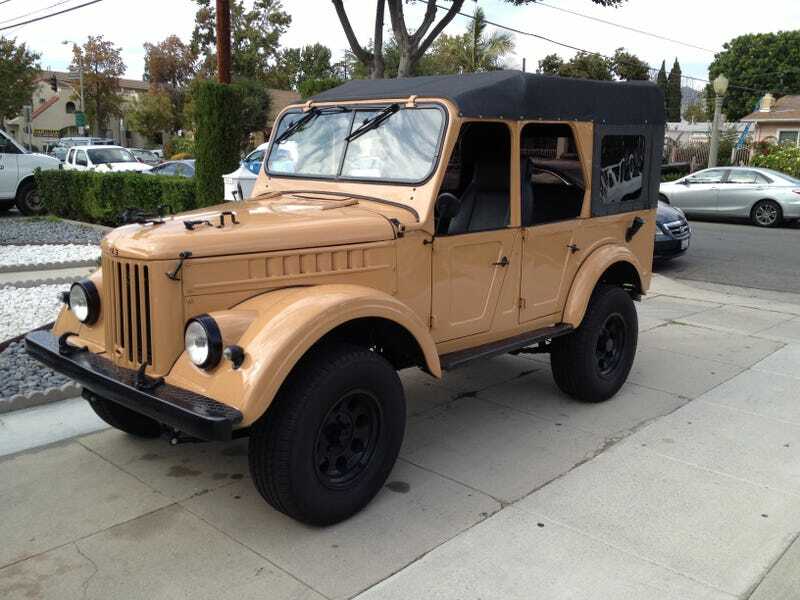 Driving home yesterday I spotted this amazing UAZ 69 (dude) a couple blocks from my house. It had apparently been imported many years ago and was pretty rough, so it now sports a Chevy Nova engine and sits on a Jeep CJ chassis, but just look at it. I live in a big Armenian community and there are actually several old Commie cars around. I know of a Volga and a Lada Niva that are also in the area. But, I think this is my favorite.